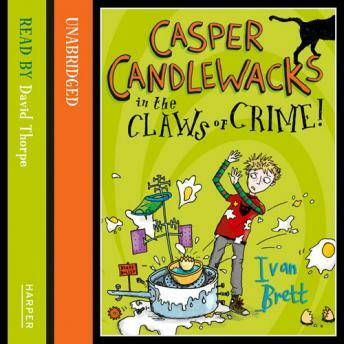 Jeremy Strong described Ivan's first Casper Candlewacks book as a 'funny and engaging debut'. This is the triumphant follow-up from the funniest new voice in fiction and once again unsung hero, Casper must save the day. An infamous cat burglar has struck in the village of Corne-on-the-Kobb, stealing a precious jewelled sword and kidnapping Casper's baby sister. To make matters worse a gaggle of amateur detectives are on the case, questioning the villagers and getting in the way. Armed only with his wits, an egg-boiling lie-detecting machine and his best friend Lamp, can Casper rescue his sister and save the day?